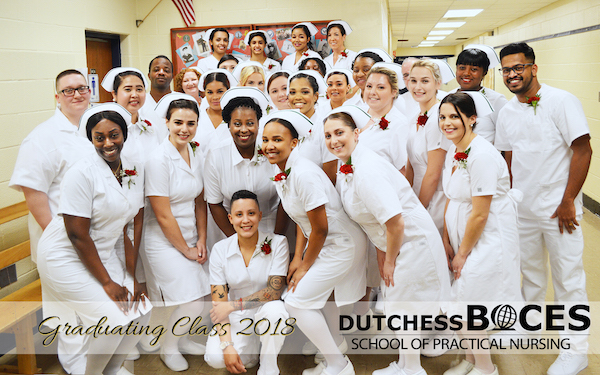 After reciting the Florence Nightingale Pledge and receiving their pins, 29 students graduated from the School of Practical Nursing on December 18th at a ceremony held at the Salt Point Center and are now qualified to take the New York State certification exam and begin rewarding health care careers. ”We are proud of your commitment, perseverance, and success. Thank you for letting us be a part of this wonderful journey,” said Dr. Susan Moraca, Coordinator for Health Occupations.